A smile improves your looks instantly and dramatically rejuvenate your total appearance. But does your smile make you happy? Most people are not satisfied with their smiles for different reasons. The most common reasons being crooked teeth, gummy smile, yellow discoloration, stained teeth, teeth crowding and missing teeth. Therefore, a smile makeover is necessary. The good news is that at London City Smiles we have some aesthetic procedures to correct your smile if you have such issues. At London City smiles, we perform smile makeovers for different reasons, and we also customize the makeovers according to your special considerations. During a smile makeover, the following cosmetic dentistry procedures can help to improve the smile appearance, teeth whitening, dental implants, composite bonding, dental veneers, gumline recontouring, porcelain filings, gumline recontouring and periodontal plastic surgery. The smile makeover treatment is a plus since it has a profound impact on an aging face too. The state of your oral health determines your makeover treatment. Therefore, a few factors must be put into consideration before a smile makeover begins. These are your skin tone, facial appearance, hair color, teeth length and width, lips and gum tissue. When the dentist is selecting the shade of your teeth, he or she carefully put your skin tone and hair color into consideration. Cosmetic dentists are very skilled when it comes to this, and you will for sure get everything well balanced. Sometimes teeth may be overlapping, crooked or having unbalanced gaps between them. This problem is solved through Invisalign or orthodontics and improved with veneers. Having some teeth missing in your mouth can affect your smile negatively. It can also affect your biting and chewing, and worse of all this can also cause more tooth decay. You don’t have to be worried anymore because through implants, partial dentures or bridges this problem is solved. Cracked, uneven and chipped teeth can be bonded cosmetically to improve your smile appearance. The dentist can re-contour a gummy smile for the overall impression. As we grow old, our teeth undergo wear and tear, and they become short. Well, long teeth bring out that smile that makes you look young. By the use of porcelain veneers or composite bonding, shorter teeth can be shaped and lengthened. Long teeth enhance your full facial appearance. 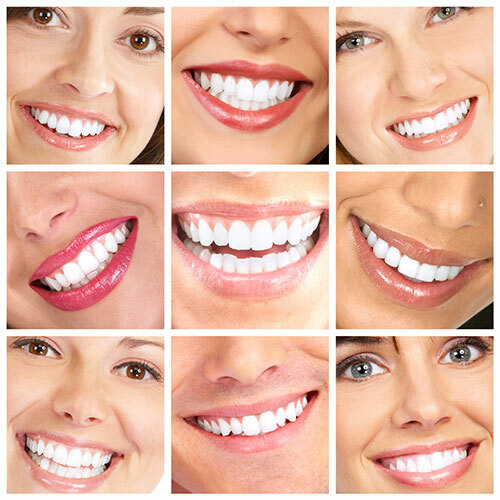 Your smile line determines how long your teeth should be. The cosmetic dentist will make sure your teeth are in the right balance by making sure that they are in different sizes and shapes that combine perfectly. With proper care at our London City Smiles, you get the necessary treatment that enables your smile look good, and the done restorations will last for long.